Screens and windows are protective for homeowners. If a single tear or hole is found on the screen or window, then you are left vulnerable to bugs and any animals small enough to climb inside the home. With screens and windows, this could lead to costly damage on the walls by water, potential invasion by pests, and increased cooling and heating costs. The poor screening will allow wasps, hornets, bees, and pests into your home. It is therefore essential to have well-maintained screens. 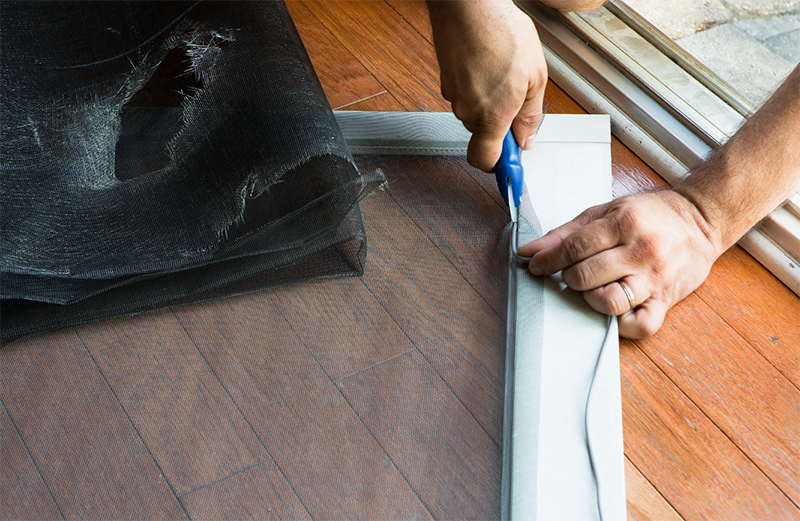 There are tools you need to use to fix your window screens properly. Some of these tools include flat blade screwdriver, spline roller, utility knife, window screening, duct tape, scissors and new window screen spline. First lay the frame and screen flat on a hard surface. The four corners are then duct taped to the surface. Gently pry the corner of the spline using the flat head screwdriver. Pull out the whole spline gently and then remove the old screen. The new screen is laid such that it leaves 2 inches on the outside of the frame. Start rolling in the new spline by using the convex side of the spline roller. You should start at the corner. Push the spline into the corner using the flat edge screwdriver. Using the concave side of the spline roller, carry out another pass once the spline is in entirely. Cut off excess spline using a pair of scissors or knife. You can then install the new screen onto your window. Window screens significantly affect how the home looks. Damaged screens can make a beautiful home look messy. You should, therefore, keep your screen in good condition for a great appeal.